As the saying goes, “Ladies first.” But of course! And yesterday Beth gave you her top gift picks for the ladies but now it’s time for the boys to step up to the holiday shopping plate. 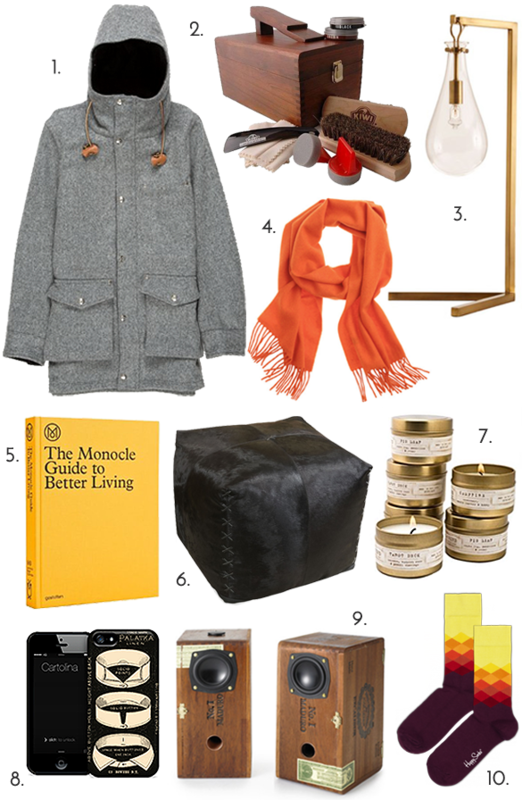 While Beth happened to also pick one of my original favorite choices with the Edgar Brass Cube Stopper Decanter, I still managed to rustle up a pretty snappy Top 10 list of gifts for most men in your life – father, son, granddad, boyfriend, husband, uncle, you get the idea. Now get the gifts!